You know what's funny? 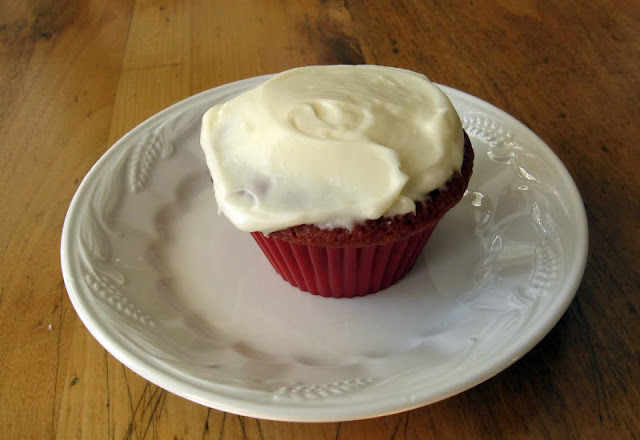 This is the first time I'm posting a cupcake recipe! That seems crazy. But it turns out I've just made muffins up until this point. Weird. But the time has come! I was up home in Portland this past week and was put in charge of making "some kind of cake or dessert" for a family/birthday get together thing. Having never made red velvet anything before, it seemed the perfect opportunity! 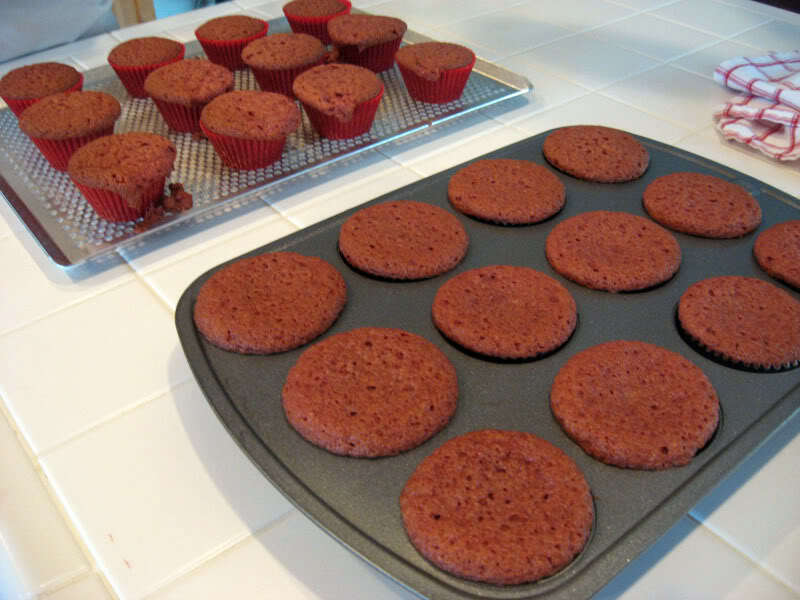 Because everyone loves red velvet. It's sort of a thing right now, you know? Not too chocolately, but not totally vanilla. A crowd pleaser, it is. But can I tell you something about how frosting these things went? My mom and I, it turns out, have never used a frosting bag with the tip thing before. Attempts to make swirly big poofy tops with it went, let's just say, less than great. We'll blame it on the tip size being too small. Because that's just better than blaming it on ourselves, right? 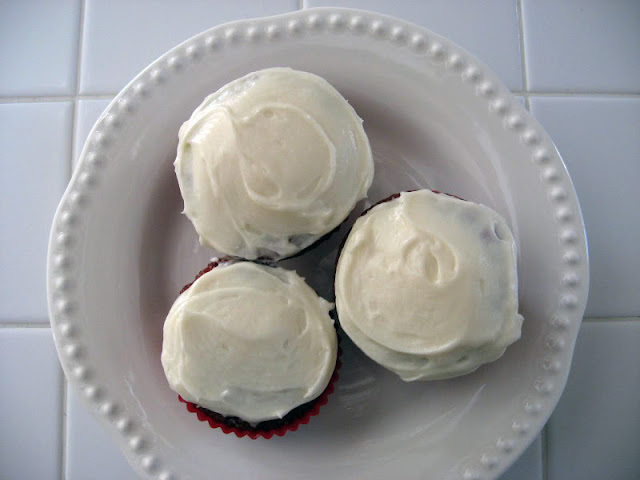 So the cupcakes you are seeing here are the ones we just did with a frosting knife. I could've shown you how the others turned out, but... it's kind of embarrassing. Right, Mom? 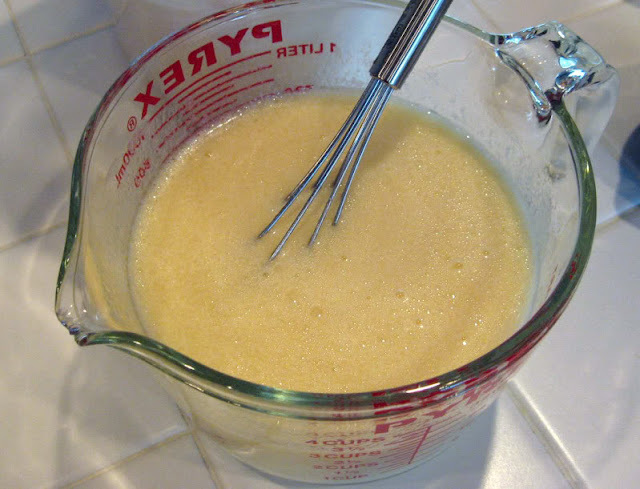 Place all the dry ingredients in your mixing bowl and stir together with another wire whisk. Pour into prepared muffin pans. Should make two dozen. Place in the oven for 20-25 minutes until you stick a skewer in the center and it comes out clean. 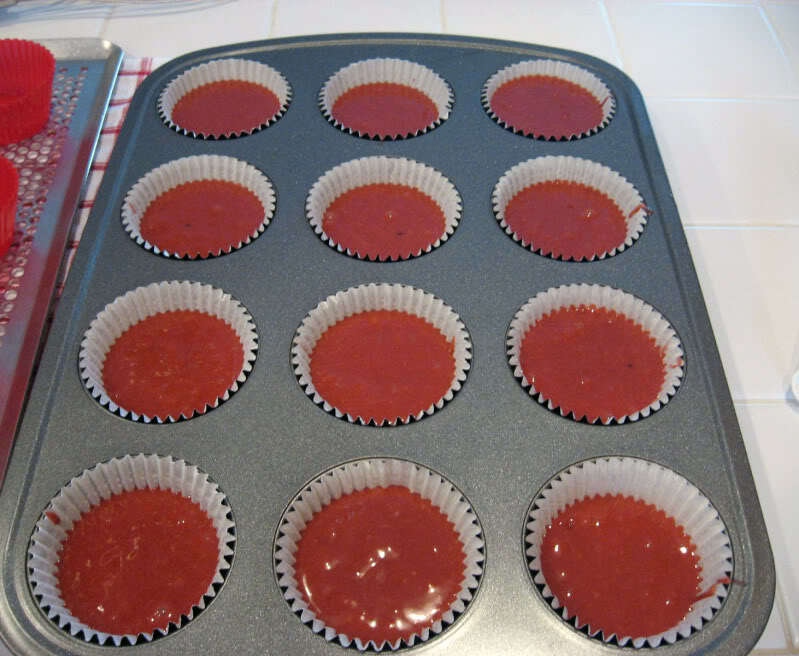 Let sit for ten minutes and remove to a cooling rack to cool completely before you get to the frosting. Turn the mixer to medium-high and beat for 5 minutes, or until the frosting becomes light and fluffy. Do not over-beat as the frosting can quickly become runny. 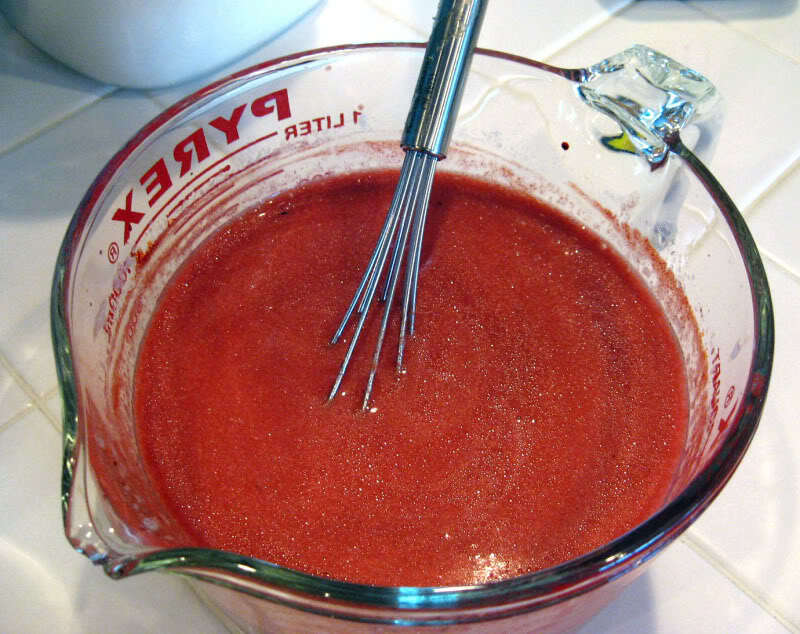 Liquids before the food coloring. And after! Oh my! How red! But I will have you know, I didn't use the whole amount of food coloring the recipe calls for. We didn't have enough! Wet added into the dry. Yours would be redder if you had the right amount of food coloring, keep in mind! And out of the oven. You see, not so red now. But it's okay, they get covered with frosting anyway. 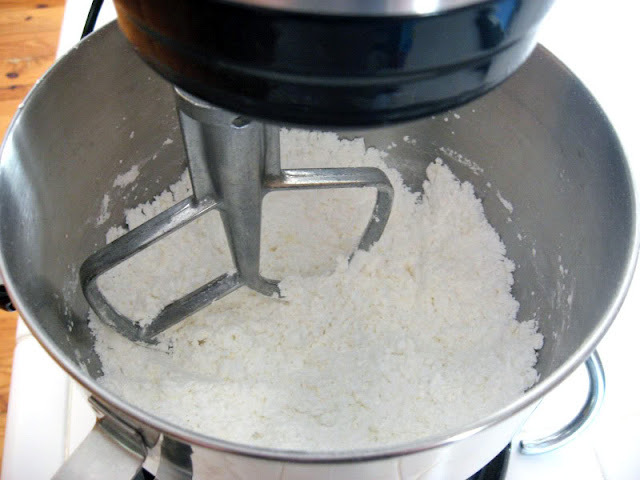 The powdered sugar and butter mixed up. 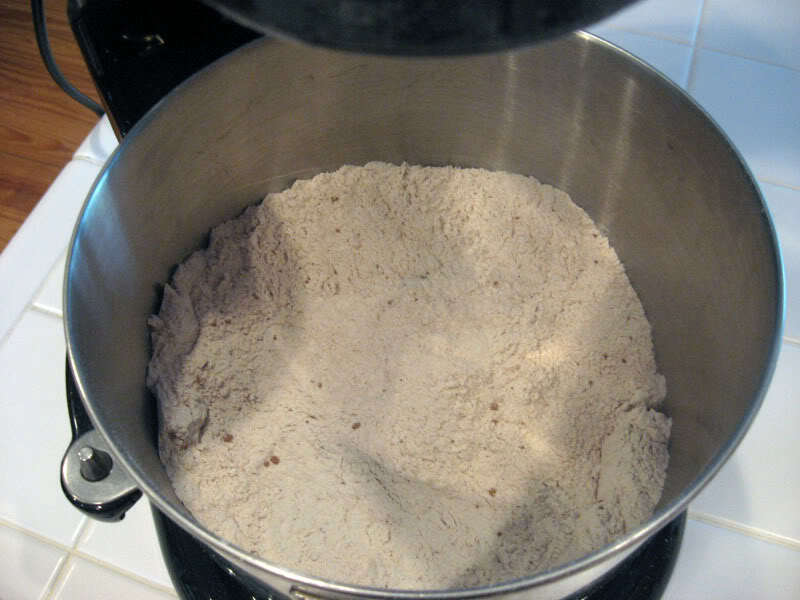 Secret: I forgot to sift the powdered sugar! Whoops! 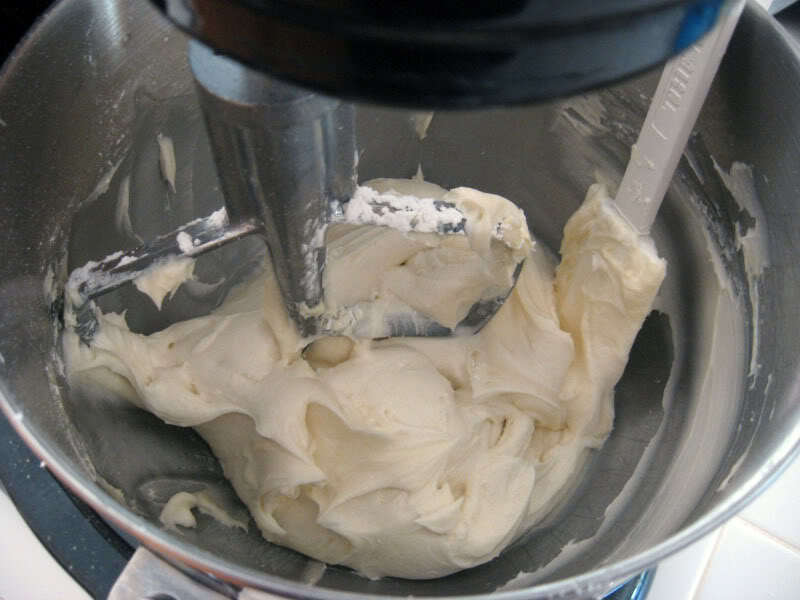 Frosting! This is only half of it. I wasn't sure I was going to need the whole amount, then it turned out I did, so we ended up with twice as much as in this photo. 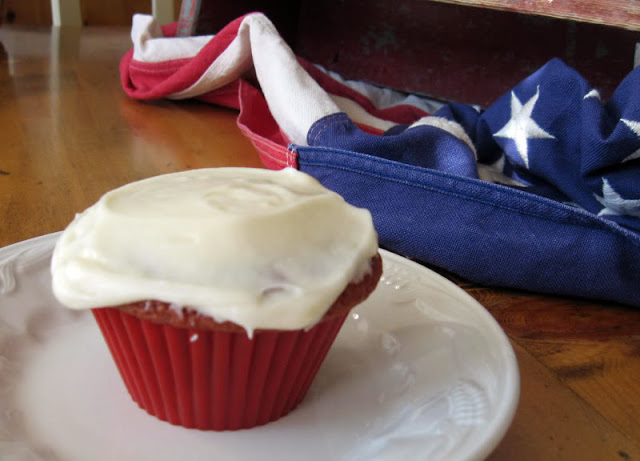 Such a patriotic little cupcake. 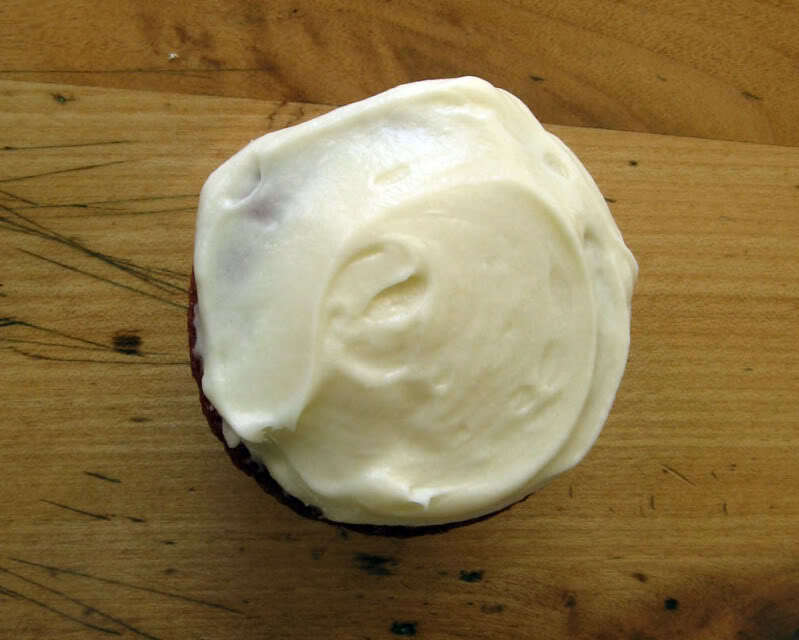 Who can resist a red velvet cupcake anyway? Only crazy people. It is my FAVORITE cupcake and my favorite cheesecake. 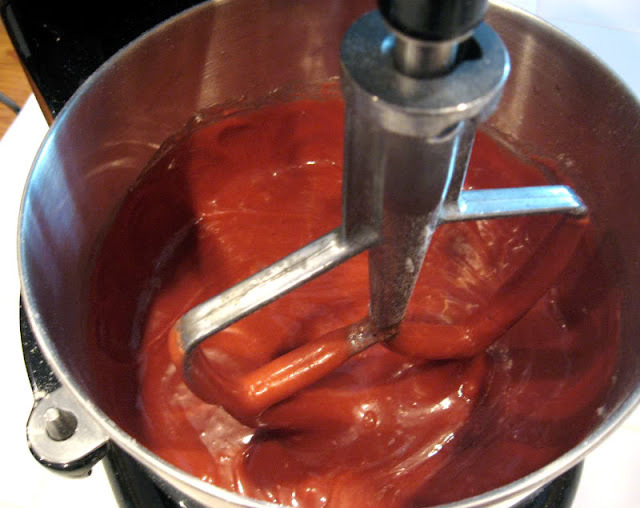 Did you know the red color was from the cocoa powder originally, and now they add food coloring to up the effect. Which is fine by me, as long as it tastes good, it can look good too.